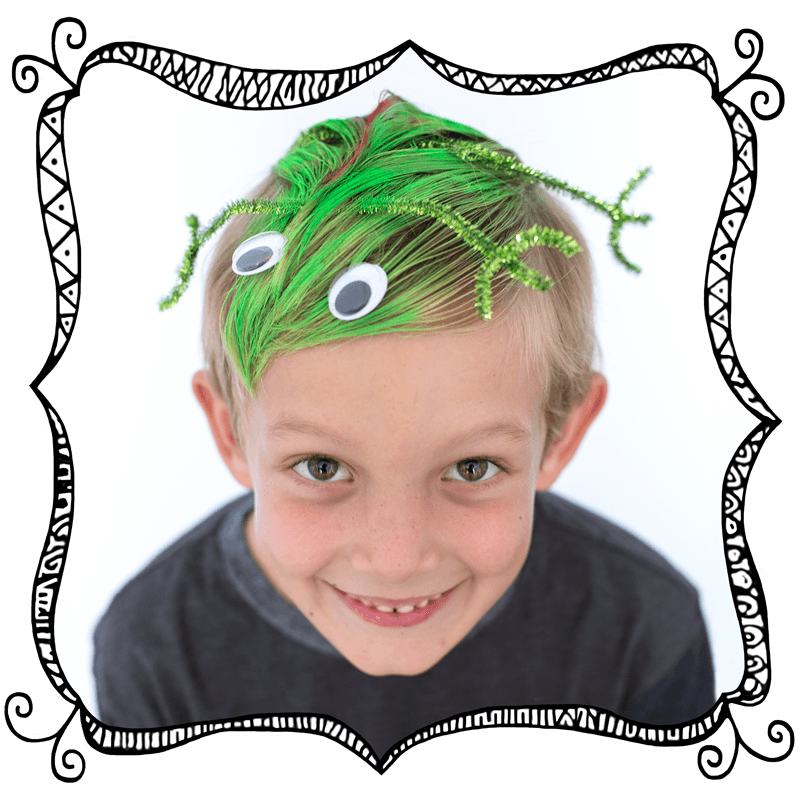 Crazy Hair for kids is all the rage – at school, sports, parties – it’s not just for Halloween anymore! Let us help! 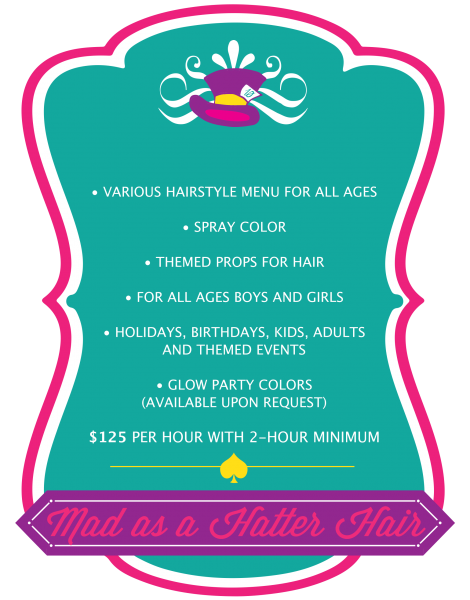 Mad as a Hatter hair is for all ages and all events. 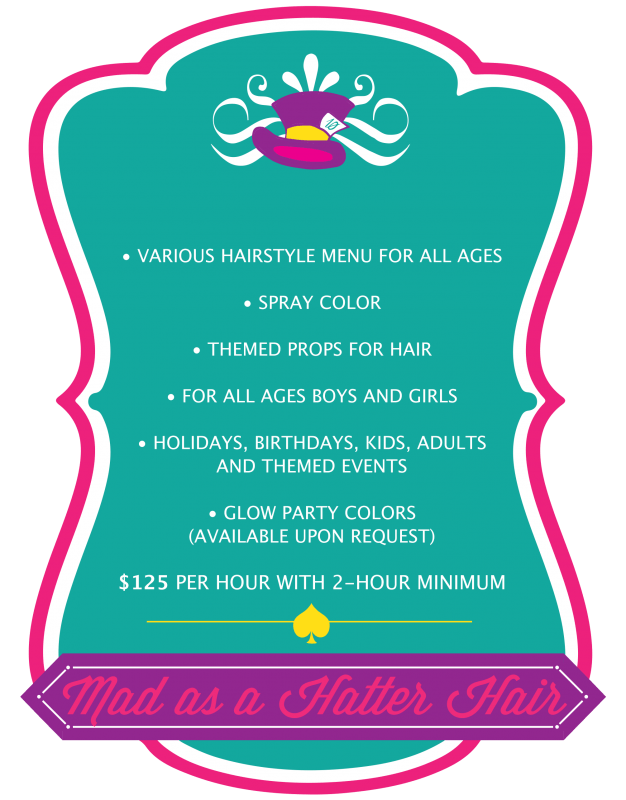 Cast will come to your event with hair color, glitter, props, and all sorts of ways to transform hair into silly works of art! Mane Event is for boys and girls. 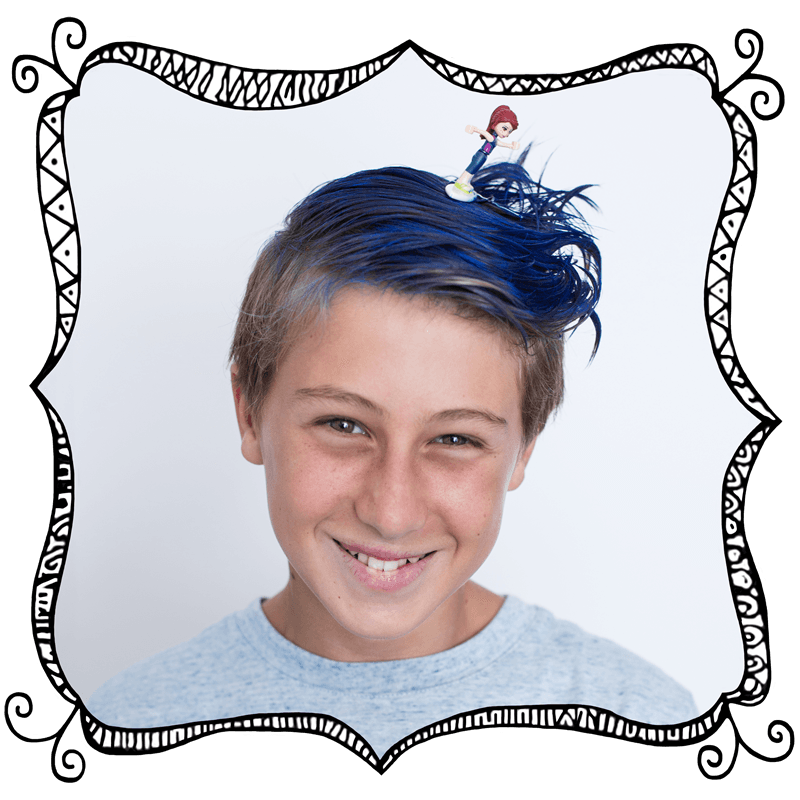 For younger boys or more creative kids, Artists create animals and themes with color, props and a little styling. We ask what they like and deliver something fun. 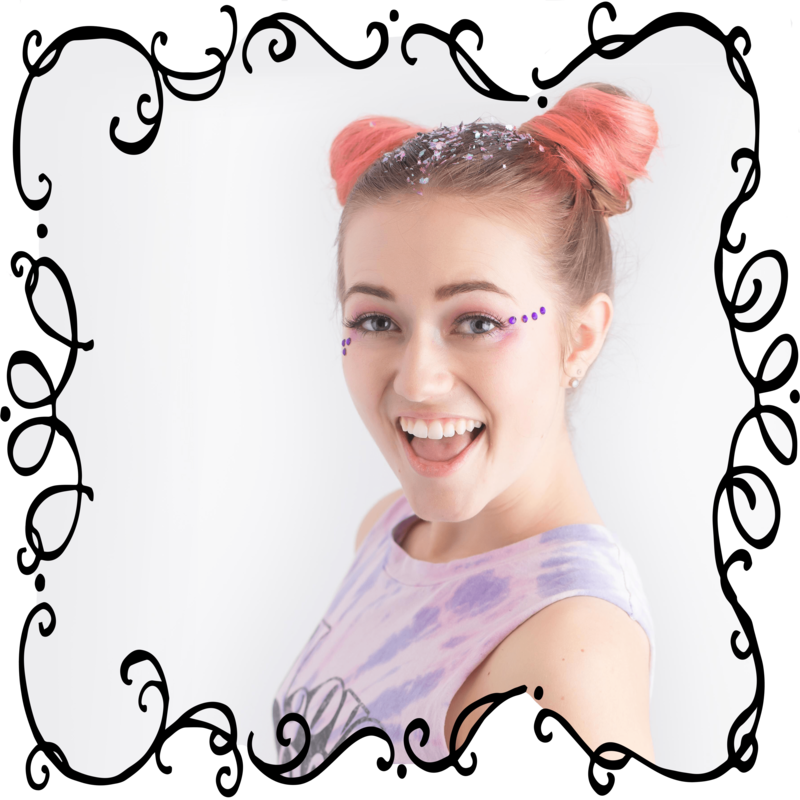 As sweet as your little one is, we can make her even sweeter (if that is possible) Mane Event Artists create all sorts of fun themes with color, glitter (sometimes lots of glitter), props and sometimes like Sydney, even sweet treats out of their hair. 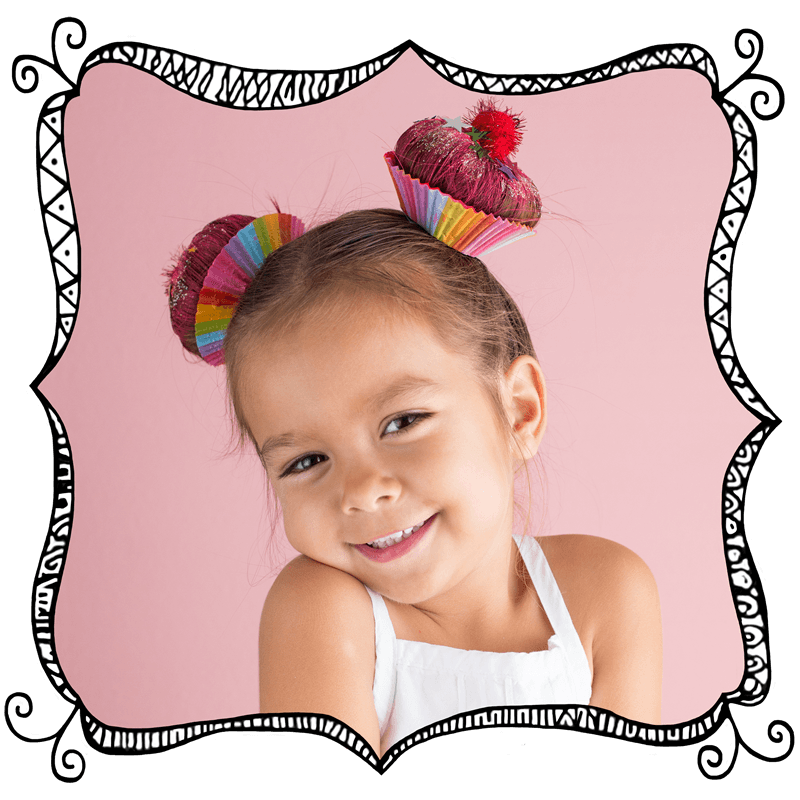 All materials are non-toxic and safe for children and hair. Who says Legos can’t surf? Some styles can have lots of color, some just a little. Any theme or hobby can come to life with at little guidance from our client and a lot of creative juices from our Artists. 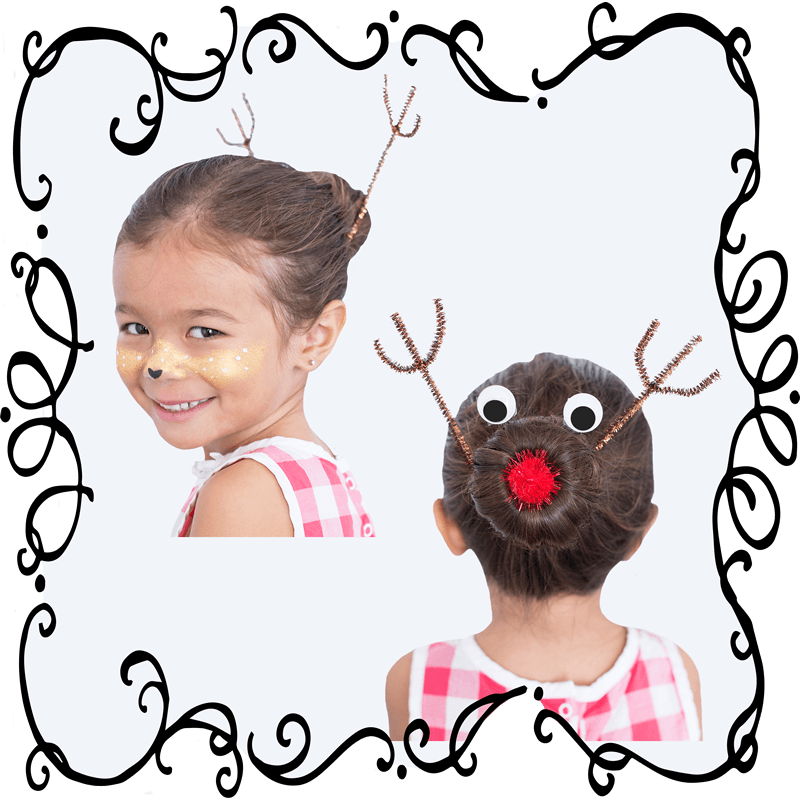 Holiday Mane is a popular booking for holidays such as Halloween, Christmas, New Years, St. Patrick’s Day and even 4th of July-themed events. Kelly has the combo format for her reindeer. Simple, minimal color, but with styling, props and face paint to transform her holiday style she requested. We make boys look even cooler too. 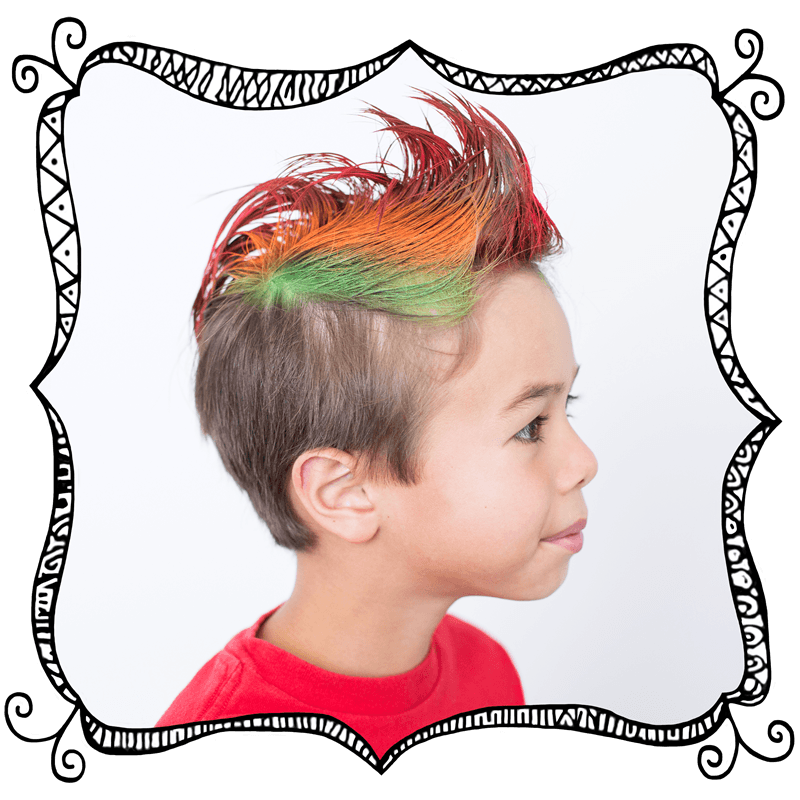 Colored mohawks and sometimes even glow in the dark color, if the boys at your event aren’t into themed hair, some styling and color and they too find something temporary and fun. 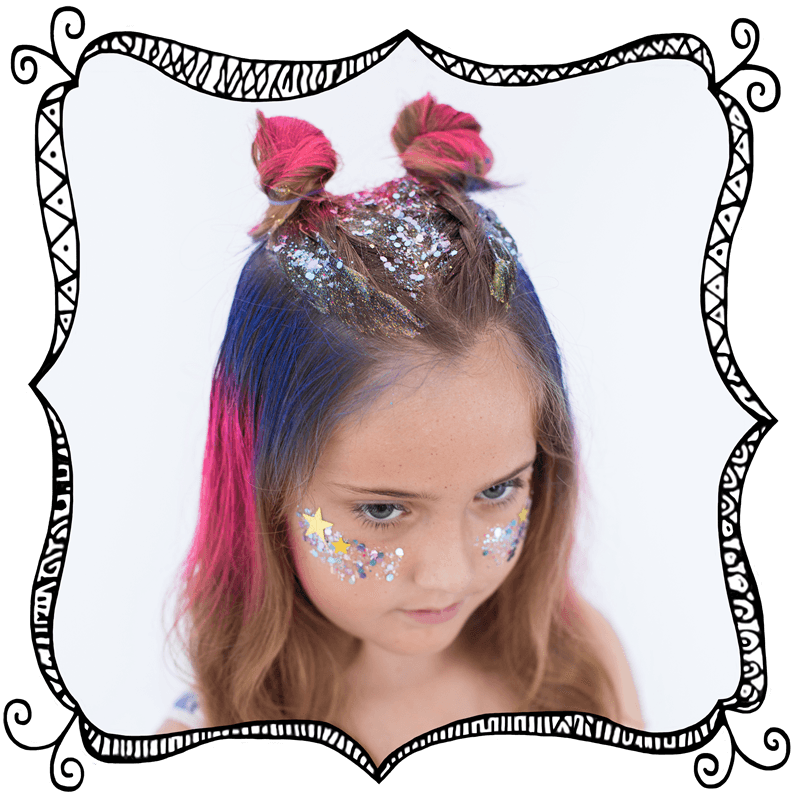 Many of our preteens at school festivals, parties and events opt out of the props but go wild on the color, styling and glitter for their Mane. 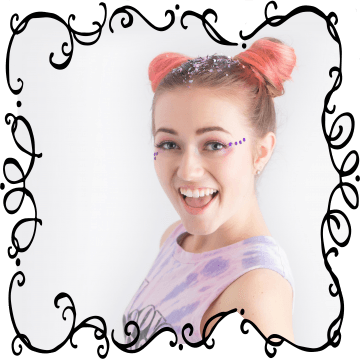 Devyn loved her variation with her favorite colors and the combo look of instead of face paint, chunky glitter on her hair and her cheeks.